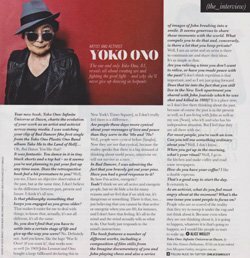 Amidst the excitement of her busy schedule, Yoko took the time to speak to Melbourne’s Sunday Herald Sun about creating her retrospective book, YOKO ONO INFINITE UNIVERSE AT DAWN. She also explained how she feels about revealing intimate moments with John Lennon in her new publication. 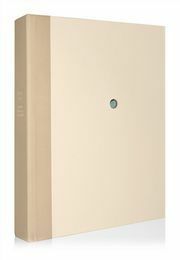 You can pre-order YOKO ONO INFINITE UNIVERSE AT DAWN Deluxe copies (numbers 1-350) and register for updates about Collector copies (numbers 351-1,500) at www.YokoBook.com. Mossgreen Gallery, Melbourne, will be holding an excusive preview of Yoko’s limited edition next month. For more details about the exhibit, click here.